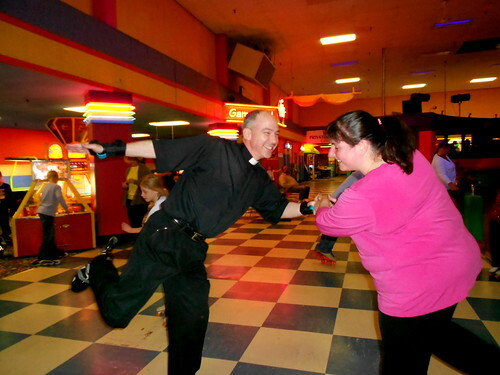 For our end-of-the-year Religious Education celebration, we rented out Skate World! I had wanted to go skating for quite a while and couldn’t pass up the opportunity to go. 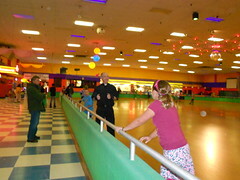 It was a lot of fun to be skating with the kids and other members of the parish. Both Fr. 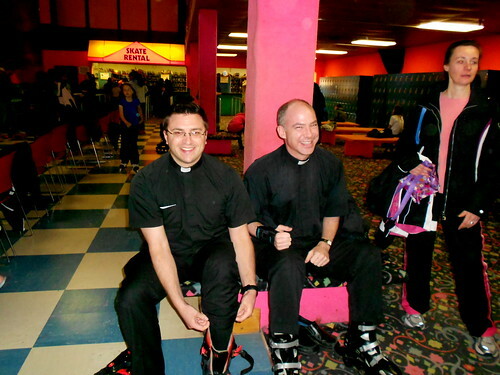 Eric and Fr. JJ showed up (and showed us up!) at the rink. As for me, the first few laps were extremely painful and I had horrible foot cramps. 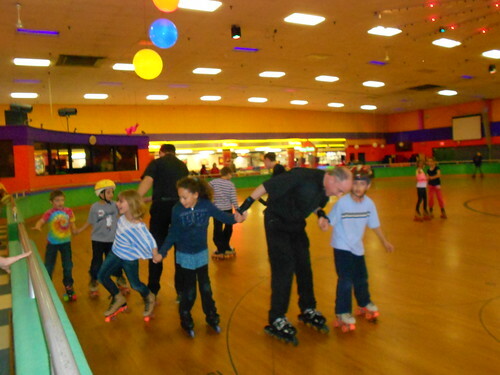 But, thank God, these subsided and I was able to skate the rest of the evening (we were there for 2 hours) with only (mainly quadricep) muscle fatigue to deal with. Close to the end, Fr. 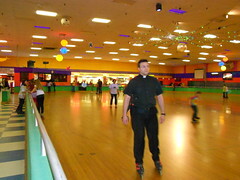 JJ got this great idea for us to (in skates) pose for a picture while standing on one foot. Previous 7 Quick Takes Friday!